If you are a female musician aged 14-25 who loves jazz and improvised music then WAYJO wants to hear from you! 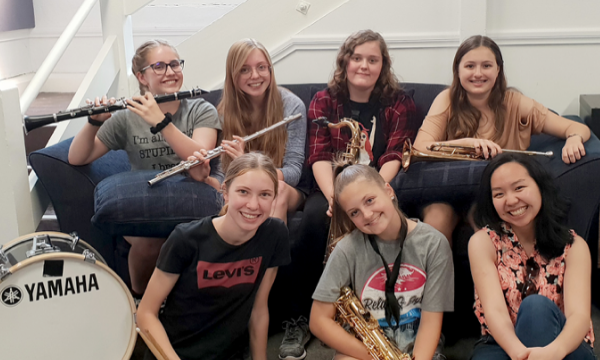 The WA Youth Jazz Orchestra are holding workshops in late April for young women to build support networks, refine skills and increase confidence in playing jazz. There is even the opportunity to perform in a special concert event at the Ellington Jazz Club. The program is developed by Sydney Improvised Music Association (SIMA) and Dr. Sandy Evans with hopes to inspire young women who want to play jazz and pursue a career in music. The aim of the workshops is to increase awareness of career options in jazz, understand audition processes for tertiary courses, develop knowledge and skills towards playing jazz music and most importantly allowing the opportunity to foster foundational friendships and support networks among young female jazz musicians. Starts April 27 and commence for 8 weeks- places are limited, so subscribe to WAYJO eNews to stay informed!